Detectives investigating the disappearance of Shannon Matthews have bailed three women they were quizzing about the youngster's disappearance. Two of the women, Amanda Hyett and Alice Meehan, were rearrested after previously being questioned. Mrs Hyett, 25, her sister Caroline Meehan, 29, and Alice Meehan, 49, were being held on suspicion of perverting the course of justice. 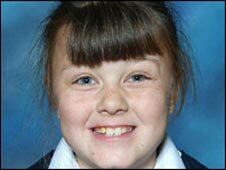 Shannon, nine, went missing on her way home from school in West Yorkshire. The three women are relatives of the schoolgirl's stepfather Craig Meehan. Alice Meehan is Mr Meehan's mother and the other two women are his sisters. Police arrested Mrs Hyett and Alice Meehan last week and they were then released on bail hours later. The uncle of Shannon's stepfather, Michael Donovan, 39, has been charged with kidnapping and false imprisonment. 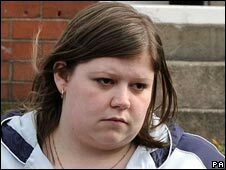 On Wednesday the girl's mother, Karen Matthews, was remanded in custody after appearing before magistrates charged with child neglect and perverting the course of justice. And in an unrelated case, Shannon's stepfather, Craig Meehan, 22, has been remanded in custody by magistrates in Dewsbury charged with possessing indecent images of children.